Unorthodox-Jew A Critical View of Orthodox Judaism: If Trump wants to get to a yes from the Palestinian side, he’ll have to “deliver” Israel. And what delivering Israel means is no secret. Trump will have to demand Israeli concessions on settlements, security, Jerusalem, and other thorny items. If he does, Israel is going to cave on some issues, but at some point, it will have to resist. If Trump wants to get to a yes from the Palestinian side, he’ll have to “deliver” Israel. And what delivering Israel means is no secret. Trump will have to demand Israeli concessions on settlements, security, Jerusalem, and other thorny items. If he does, Israel is going to cave on some issues, but at some point, it will have to resist. “The president emphasized his personal belief that peace is possible and that the time has come to make a deal,” the White House said. When Trump meets Abbas: Will he deliver Israel? Why is Trump doing this? President Donald Trump invited Palestinian president Mahmoud Abbas to the White House. A date has not been set yet. In the meantime, Trump envoy Jason Greenblatt is visiting Israel and the Palestinian Authority for talks. The Palestinians seem pleased with these developments. Israeli right-wingers, who for some reason believed a Trump presidency means they get free reign, seem a little worried. Trump has a packed agenda, and has had a chaotic start to his term, and yet he still found time to spend on the Israel-Palestine negotiations. That is not a good sign for those betting on presidential neglect. Why is Trump doing this? During the campaign he gave an honest answer: it is a challenge that all his predecessors failed at, and it would be nice to show the world his competency by succeeding where others have failed. What is Trump’s plan for success? That is still a mystery. If the president indeed told Abbas what the White House statement says it did – “a peace agreement must be negotiated directly between the two parties, and that the United States will work closely with Palestinian and Israeli leadership to make progress toward that goal. The President noted that the United States cannot impose a solution on the Israelis and Palestinians, nor can one side impose an agreement on the other” – a rocky path awaits him. If direct negotiations resume, they are likely to produce nothing. What then? Then he will have to make a decision: He could drop the ball and move to solve other world problems (Turkey-Netherland relations seem to have potential). He could set limited goals – instead of a comprehensive peace – and try to achieve these goals by helping Israel and the Palestinians slightly better the current situation. Or he could repeat the mistake of all his predecessors and go for the jugular. Cold calculation would advise against such a move. But Trump doesn’t always follow what other people consider to be cold calculation. Trump follows his gut, his ego, his big dreams. There it is: If Trump wants to get to a yes from the Palestinian side, he’ll have to “deliver” Israel. And what delivering Israel means is no secret. Trump will have to demand Israeli concessions on settlements, security, Jerusalem, and other thorny items. If he does, Israel is going to cave on some issues, but at some point, it will have to resist. It can tell the Palestinians that Israel’s demand is reasonable – and see them “shut down” as they did with Kerry. It can tell Israel that its demand is unreasonable – and see Netanyahu maneuver against the US position as he did with Kerry. It can search for a middle ground – as Americans in general, and American businessmen in particular, tend to do – and discover that some things don’t work quite the same in the Middle East. It can say that the parties have to solve this issue by direct negotiations – and watch them get stuck, one issue after the other, because the differences are just too big to bridge at this point in time. What will Trump’s choice be? 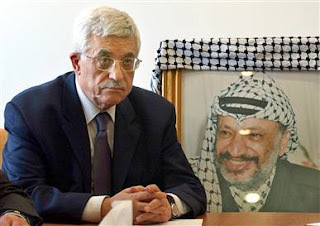 The fact that he spoke to Abbas and invited him to Washington tells us something about his stance – the Israel-Palestine issue is more a priority for him than some of us believed. The reports about Abbas being pleased with the conversation tell us some more – Trump did not let him feel that there is no reason for him to engage with this administration. Greenblatt’s visiting Israel and the PA tells us some more – the administration is not all talk, it is moving to action. Defense Minister Avigdor Lieberman’s decision to join Prime Minister Netanyahu in warning against settlement construction tells us some more – what they hear from Washington calls for caution. All signs show that the games are about to begin. The teams know that they will ultimately have to score. The referee has entered the field, whistle in hand. But he still needs to tell us the name of the game.